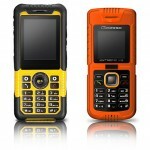 even though i favor smartphones over traditional mobile phones, i do appreciate a well crafted piece of mobile phone. especially one that’s exquisitely crafted and put together. 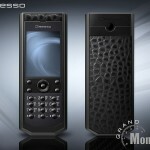 joining Gresso luxurious line of mobile phones is the Gresso Luxor World Time Gold, a luxuriously crafted mobile phone for the rich folks who never got around using a smartphone (or perhaps, those who hate being out-smarted by a smartphone). aside from its striking 18K gold body, the Luxor World Time has a specially designed six independent clocks that took up just 2 millimeters of depth of the 12 millimeters thick phone. the clocks display time of the five major business centers in the world, namely, New York, Tokyo, Paris, London and Moscow. the sixth time is customizable to the user’s liking. the main screen is of two-sided sapphire crystal treated with antireflective coating and the back panel features a luxurious black Italian leather. simply dazzling. 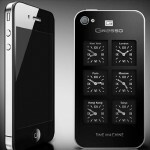 among the sea of touchscreen phones, isn’t it nice to see the traditional key pad again? well, not just any key pad. each key is made of an unique durable crystal sapphire, hand polished with diamond tools and the numbers and alphabets laser engraved. needless to say, such intricate piece of art does not come cheap. 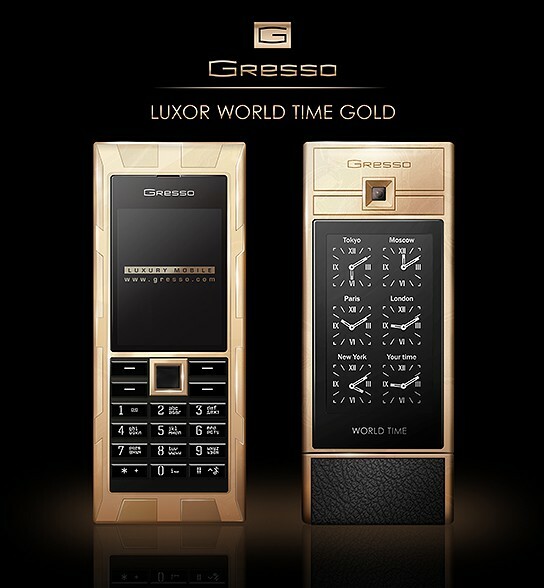 the Gresso Luxor World Time Gold has a hefty price tag of $30,000 and is available from either Gresso official dealers or Gresso web store. fortunately, smartphone is still the communication device of choice for me, else i wouldn’t have a clue how to find that kind money for such a beautiful phone. 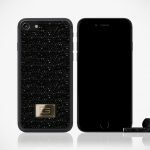 Would You Pay Half A Million For A Black Diamond Embellished iPhone 7?